Android is a free, open source, and fully customizable mobile platform written in Linux kernel, initially developed by Google and later the Open Handset Alliance. It allows developers to develop great Google Android Applications. So if you are the Google Android Mobile User and searching for some Great Application for your Phone. In this article, we briefly review some Best Google Android Applications for your mobile. Qik is a small mobile live streaming web application that allow you to share live video with your friends and family right from your mobile phone. you can easily record and upload video directly from your Google Android supported cell phones. it also send live update to your friends on your favorite social networks; you can even sign into Qik using just your Facebook or Twitter login. Google Listen is a new Google Labs developed Android Applications for podcasts and web audio. With Google Listen, you can easily search, subscribe, download and stream podcast and web audio to your Android-powered device. Subscribe to programs and searches to create a personalized audio-magazine loaded with fresh shows and news stories whenever you listen. Spotify is a digital music service that opens up your Android phone to a world of music. Unlimited, unrestricted, instant access to your favorite tunes. it's an peer-to-peer music streaming service that allows instant listening to your favorite tracks or albums with virtually no buffering delay. Currently Spotify available for invite-only beta.which means you need to have an invitation token to access the service. iTunes Agent is a small android application which rests in your system tray, constantly looking for devices being connected to your system. If a device it recognizes is connected it enables you to manage it via a playlist in iTunes. You may even associate your player with a Smart Playlist, such as "Party Shuffle", and always have a new collection of tracks on your player! When you are done modifying the list of tracks for your player you can synchronize it with two small mouse-clicks! PicSay Pro is a award winning photo editor for Android. All in an intuitive easy-to-use interface, making Picsay Pro the perfect all-in-one solution for editing images on your Android powered mobile phone. With Picsay Pro, you can easily Add text to your photos using styled word balloons and titles, decorating your friends pictures with hair, glasses, beards and other props. Or get the message across with your picture by adding various pointers, symbols, and other shapes. Ringdroid is an Android application for recording and editing sounds, and creating ringtones, directly on the handset. With Ringdroid, you can easily manipulate any of your existing audio file on your Android phone and create shorter audio clips perfect for ringtone, alarm or massage notifications. Documents To Go is a Free, easy to use, Full featured Microsoft® Word, Excel®, PowerPoint® and Adobe® PDF files viewers and also editor for all Android-based devices. you can easily create, view, edit, save & send attachments while our InTact Technology maintains 100% of the original file formatting. Documents To Go is the first mobile Office suite for Android that supports editing of native Microsoft Word, Excel & PowerPoint files. Spreadsheet is a professional tool for creating and editing Excel spreadsheets on the Google Android platform. It provide a scrollable zoomable view, along with cell formatting features and a host of standard spreadsheet functions. Scan2PDF Mobile converts your mobile phone into a scanner/photocopier/fax machine. it use your mobile phone's camera to scan your documents and convert one or more pages into a PDF and then saved to your mobile phone memory card or you can emailed directly from the phone or transferred to PC. Pages are compressed and enhanced to produce a compact, readable PDF file. Note Everything is a feature-rich note (notepad) application for all android based devices.You can organize your notes in folders and subfolders. Also you can add text-notes, paint-notes and voice-notes combined in one application. AK Notepad is a Notepad text editor for Android based mobile phones. 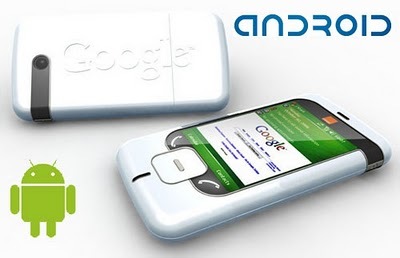 With AK Notepad, you can write any text you want and save it on your phone. Set a quick reminder for your note which notify you based on the time you picked for the note. or share it to others by SMS or email. The notepad appearance is fully customizable and easy to use. OI File Manager is an open file manager for Android-powered phones that seamlessly co-operates with other applications. it allow you to browse your SD card, create directories, rename, move, and delete files.It also acts as an extension to other applications to display "Open" and "Save" dialogs. Cab4me is a Mobile Cab Finder application for the Android and iPhone user . with cab4me, User can easily access to hand-picked cab company database. it help you to find a cab when you need it. it use Google map to find nearest taxi stands in your area whenever the data is available for your area you can easily switch to the call tab to get a list of local cab companies in your areas. it also give you additional information like available car types or payment methods. The application was developed by Konrad Huebner and Henning Boerger. chompSMS is a Android based Messaging app. It's got a great user interface, chat style SMS bubbles, touch screen keyboards and many other great features! Also coming soon, T9 predictive touch screen keyboard and color customizations. Hi Aim is a AOL Instant Messenger(AIM) client for android. Data sent through network. No SMS fee. Support for smileys and chat bubble styles. Fusion Voicemail Plus is Android based application developed by PhoneFusion. it an easy to use award winning service that lets you centralize your voicemail boxes (mobile, home, office etc.) No more calling voicemail - just Touch-N-Listen right from your phone. BETTER AND FASTER than iPhone. A must have for your Android phone! Speaking Pad is a unique Android based application developed by IDEAL Group’s. it's an talking notepad that will speak whatever you type. Speaking Pad is an entertaining application for anyone who wants to prank their friends with computerized speech! Meebo is a Ajax-based in-browser instant messaging program that supports almost every IM platform like; AIM, MSN, Yahoo, MySpace IM, Google Talk, Jabber and ICQ. Meebo IM is a Universal web platform for every IM on any network or site. With One login, you can easily access all your accounts from any browser, anywhere. Steel is a web browser for the Android platform. you can Browse the internet full screen via a simple user interface with auto-rotate, a virtual keyboard, zoom and page flip gestures. You can also download files of any type. Phonebook is a great alternative to the Contacts application and it comes with a new user interface and extra features for viewing and managing your contacts. it come with nice landscape view, a dialer and a quick access to your favorites and most called contacts. It new user interface displays your contacts with pictures and provide contextual information about specific person, such as coming birthdays, missed calls and unread text messages. With Live Chat application User can Chat, flirt and discuss with other users. User can create there own chat groups and create a profile with photo. Opera Mini is a world’s most popular mobile Web browser. you can browse the entire Web on your Android phone and save time and money. Opera mini is compressing pages up to 90%, making web browsing fast. Synchronize your bookmarks, history, notes and more between your computer and mobile phone, and a lot more. Twidroid is a fully featured twitter and identi.ca client application on your android mobile phone. With twidroid , you can post your Tweet, mentions & direct messages, view user profiles, follow/unfollow users, integrated search, saved searches, auto-completion and location supported. it also come with fully integrated notification system and provide update about latest news from twitter buzz.